Nigerian champions Enugu Rangers will fly out of the country on Thursday for their CAF Champions League second round, first leg encounter with Zamalek FC of Egypt on Sunday. The Confederation of African Football has appointed respected South African official, Daniel Frazer Bennett to be in charge of the clash at the Al Salam Stadium in Cairo. Kick off is 9pm Egypt time. Bennett will be assisted by fellow South Africans Zakhele Thusi Siwela (assistant referee 1), Sandile Dilikane (assistant referee 2) and Tinyiko Victor Hlungwani (reserve referee). The match commissioner is former FIFA referee Mourad Daami from Tunisia. Enugu Rangers’ chairman, ‘Chairman’ Christian Chukwu said on Wednesday that the ‘Flying Antelopes’ have the go-go spirit and the tenacity to dig their feet into the ground against the ‘Mediterranean Knights’. “We will go to Egypt with a gameplan to get a favourable result ahead of the return leg in Enugu next weekend,” said the former Nigeria captain and coach. 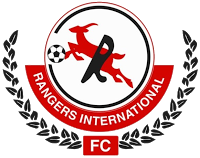 Enugu Rangers eliminated Algerian debutants JS Saoura on the away goal rule in the earlier round, and must be at their best to overcome the experienced Egyptian campaigners to reach the lucrative mini-league stage of Africa’s prime club competition. Rivers United, the second team flying Nigeria’s flag in the CAF Champions League, will host top Sudanese side, Al Merreikh at the Yakubu Gowon Stadium, Port Harcourt also on Sunday. The ‘Pride of Rivers’ were in great form in the earlier round, pounding AS Real Bamako 4-0 at the same venue after both teams played a 0-0 draw in Bamako in the first leg. Egyptian official Ghead Grisha, who was in charge when the Super Eagles defeated Zambia 2-1 in Ndola at the beginning of the 2018 FIFA World Cup qualifying series five months ago, will superintend proceedings in Port Harcourt. He will be assisted by fellow Egyptians Tahssen Abo El Sadat Bedyer (assistant referee 1), Ayman Degaish (assistant referee 2) and Mahmoud Zakaria Mohammed (reserve referee). The match commissioner is Mukaila Nassam Adam from Ghana.